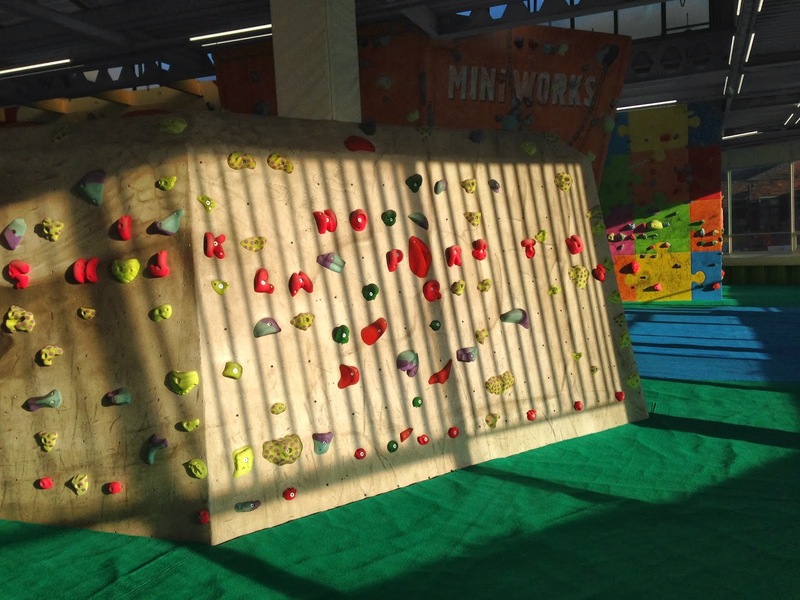 With the clocks changing, the weather ever-changeable, and the temperatures firmly moving into the Autumnal ranges we thought it was a good time to update you on the recent changes that have been going on at The Climbing Works. This is going to be a bit of a long read so get a cup of tea / coffee and get up to date on what we've been doing to improve the Works for our customers. As per usual we've been turning over the circuits here giving you fresh problems to test yourself on. In the last month we've changed circuits from the beginner Greens to the nail Blues. For those looking for a challenge the Blue circuit has a rumoured Font 8b on it, so off you go... It's worth also noting that the Circuit board has a F9a route on it (set by Steve McClure & un-sent I believe). I wonder how many climbing walls in the UK where you get a Font 8b & a route F9a for an entry price of £7/£6 concession or even less if you come Off-Peak? There are plenty of new circuits of all grades also throughout the wall with a new beginner Red going up this week at the Mini Works. In total, over the last 4 weeks, we've set just short of 250 new problems. What have we been doing with the rest of our time you may ask? Well, we've also been building new walls for you to enjoy. As you can see below we've done some work on the old kids castle (half of it remains) and back wall to create a new cave and some beautiful vert / arete. We also did some work on the barrel in the middle room and we've got some more plans in the pipework. 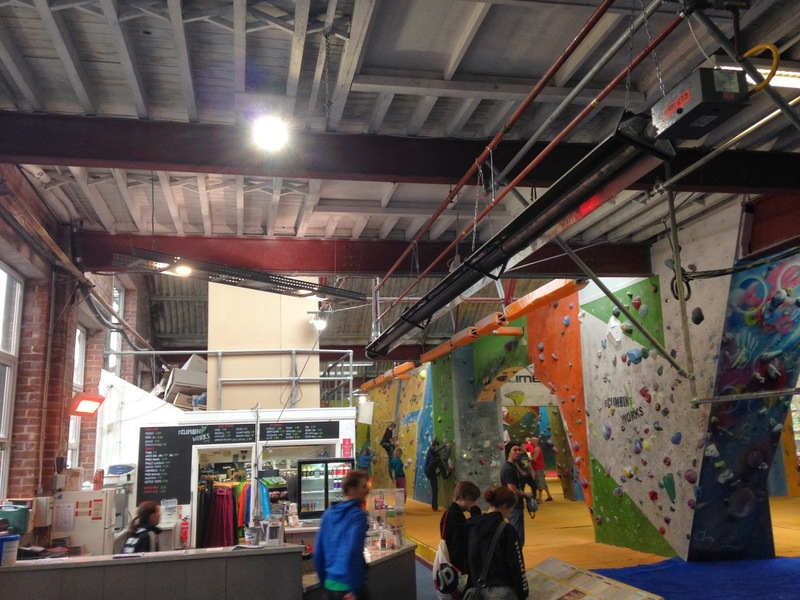 On the subject of pipework, some of the more vigilant of you may have noticed some new pipes above reception and near the Berghaus Competition wall. These are new radiant heaters (from Ad-Rad Sheffield) which will help provide some warmth in these seating areas for the coming Winter months. They won't heat the centre (that would probably accelerate global warming if we tried that) but they will provide some warmth while you enjoy your cup of tea during your climbing break. 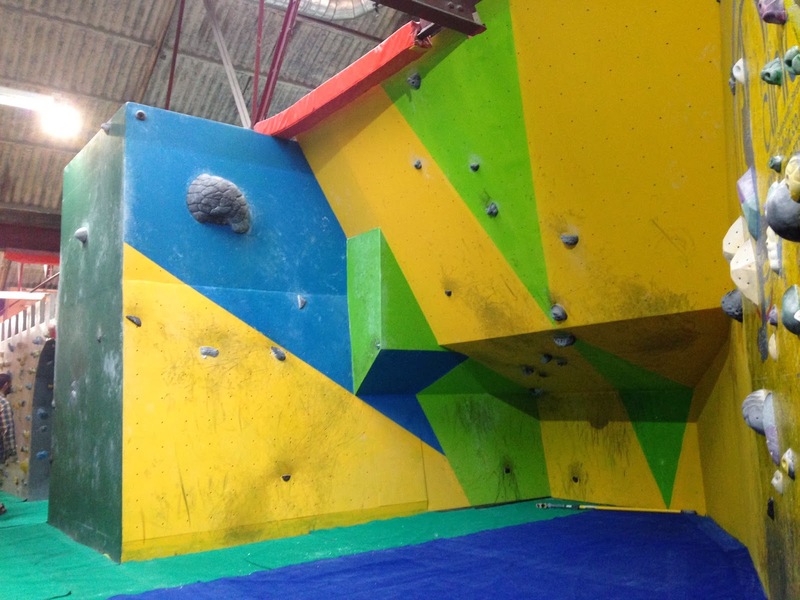 Over in the Mini-Works we've been expanding the Mega Circuits so now you have 20 more problems in Black, Yellow, Murple and (later this week) Red to challenge yourself on. We already have a radiant heater in the Mini-Works but we've also added some window blinds to take the edge of the morning sun. We've also expanded the opening hours of the Mini-Works so that from Mon-Thurs you now have to 9pm to enjoy the problems in here. October also saw the first of our Autumn 2013 events with the first screening of the Reel Rock 8 tour. Over 200 people watched this series of four films on a big screen with raffle prizes provided by the film sponsors, with each film-goer also getting a free Clif-bar. The last chance to catch the Reel Rock 8 films will be this Sunday, 3rd November, at the Works. You can get tickets on reception or on the website. Watch the trailer below and get some much needed Winter psyche. After this screening we have 2 more special events. On Sunday 17th November we have the Last Great Climb which is the latest Posing Productions / Leo Houlding film. This charts an expedition to Antartica to climb a stunning line on one of the remotest peaks on the planet. Definitely worth getting tickets to see this! Our final event is a very very special one. The launch of the eagerly anticipated Peak Rock book. This tome goes into unparalleled detail on the history of rock climbing in the Peak District. Having seen a copy, we cannot emphasize how excited we are to actually get to read it. It is a beautiful thing. 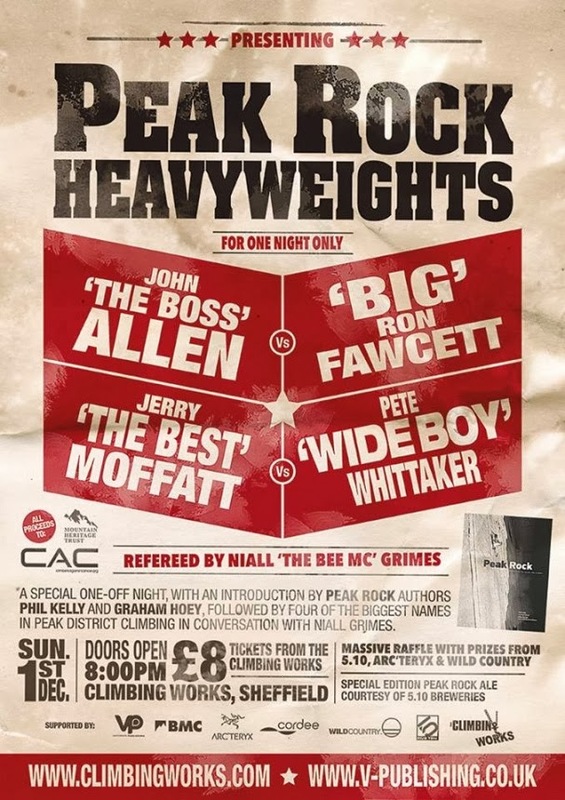 The book launch will take place on Sunday 1st December and the guestlist is a who's who of climbing in the Peak. 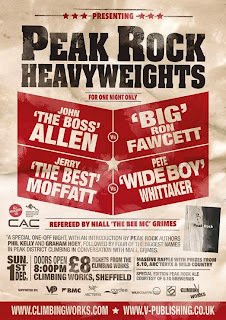 To top that we will have 4 legends on stage taking questions and discussing their own experiences of the Peak. When I say legends, I mean it - Jerry Moffatt, Ron Fawcett, John Allen & Pete Whittaker. Add to this the irrepressible MC Niall Grimes and it will be a very special evening. This will sell out so get tickets, and read more about the evening, on our website. All proceeds from ticket sales go to Mountain Heritage Trust and CAC. 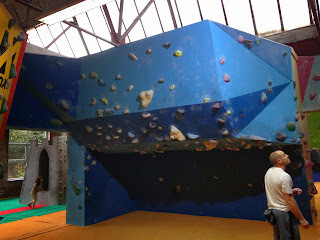 The other main event that is happening this Winter is our regular Evolv Bouldering League. You can find all the dates and information on our website. We've teamed up with the Foundry to create an overall special prize bucket for those who compete in 6 out of the possible 8 rounds of the individual bouldering leagues. We're going to be throwing in prizes each month to build up a massive bin of stuff. We will then draw winners from the select group of people who meet the criteria. This should help keep you psyched for the comps this Winter. The last thing to tell you about is our special Half-Term sessions for the kids this week. Lots of options for children of all ages. If you can't find what you're looking for then give us a call on 0114 250 9990. As always we have our regular kids clubs throughout the Winter if your kids enjoy these sessions. At our latest count we have 170 regular kids taking part each week. That is a lot of strong youths! Think that covers most of what is going on in here recently...not much really eh?